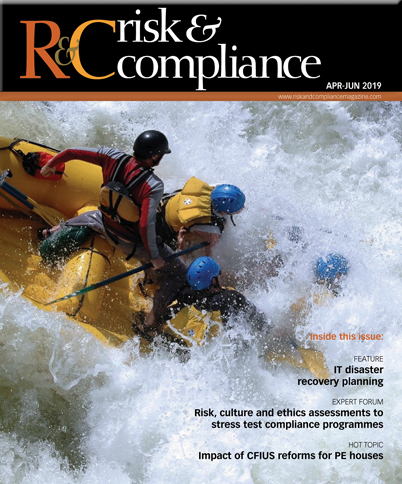 R&C: In today’s regulatory environment, why is it important for companies to stress test their compliance programmes? How often should they do this? Harned: It is important for compliance professionals to ensure that their company has met regulatory expectation, so as to avoid the negative consequences that come from non-compliance. Regulators around the world are becoming more sophisticated in their evaluation of compliance programme effectiveness, so their standards remain a critical area of focus for a programme. That said, today’s regulatory environment is just one of several reasons why companies should stress test their compliance programme. We live in a world of fast-paced sharing of public opinion. A single misstep by a company can become global news in a short period of time. Additionally, as millennials rapidly grow as a population in the workforce, communicating organisational standards and also meeting their expectations of transparency and trust will be equally important. Every programme should be assessed and measured. Measurement toward a standard allows an organisation to evaluate its efforts, review its budget allocations and make judgments about its programme. The frequency depends on the pace of change the organisation faces. As a rule of thumb, a programme should be assessed every two years. But an organisation with recent M&A history, multinational operations, history of misconduct, and so on, should do its assessment more frequently.